Mortgage rates have been steadily decreasing for the past several weeks and seem like it will continue to creep lower due to the sudden hike after the election of President Donald Trump. 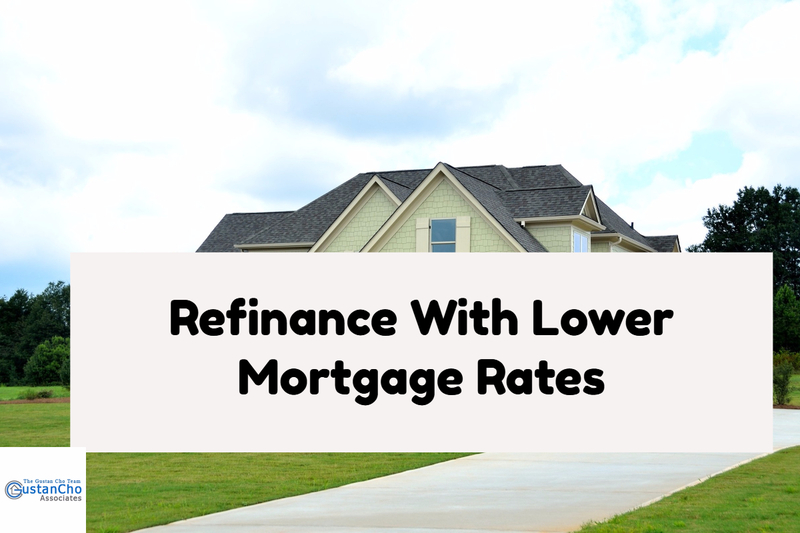 Refinance With Lower Mortgage Rates: Why Did Mortgage Rates Drop? News that weaker than analyst expected employment data is the primary reason for the spike in the pricing of Mortgage Backed Securities. The weaker employment data reports that were released have convinced investors that the Federal Reserve Board will not slow their bond purchase program until next year. Mortgage rates from larger retail banks were quoting at 4.375%. My mortgage rates are normally 0.25% lower than bank rates and the best rates that I had available were at 3.875% on a 30 year fixed rate mortgage for prime borrowers. Right now will be a great time to consider refinancing your current mortgage loan or convert you FHA insured mortgage loan to a 95% Loan to Value conventional loan with no mortgage insurance to eliminate the FHA monthly mortgage insurance premium. Please contact me at 262-716-8151 or text us for faster response. Or email us at gcho@loancabin.com. Please visit us at www.gustancho.com for a free mortgage rate and savings analysis.